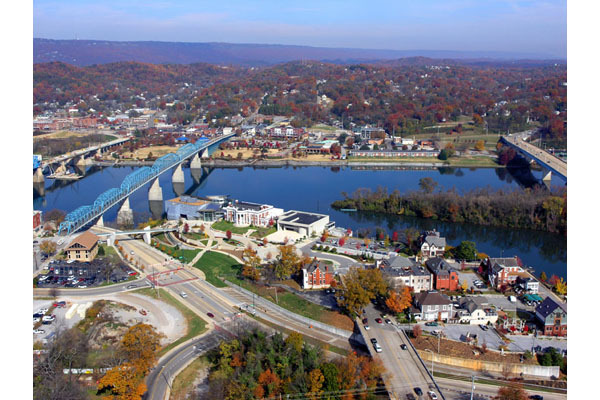 When Chattanooga was first starting out as a city, the area along the bluffs overlooking the Tennessee River was the proverbial Park Avenue of Chattanooga. The high elevation protected wealthy residents' stately homes from from the extreme floods and outbreaks of yellow fever that plagued downtown. 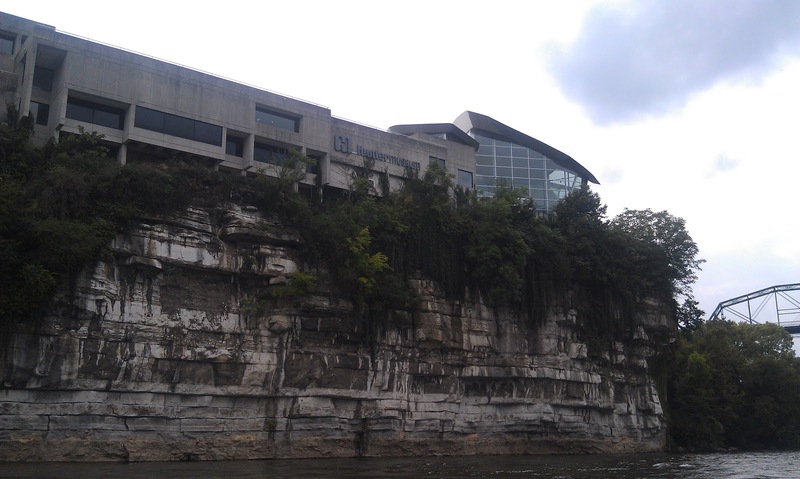 The bluffs also afforded splendid views of the river, Maclellan Island, and the forested hills of what is now the NorthShore. This combination of elevation, views, and safety were all closer to downtown than the next safest refuges favored by the rich-- the summer homes and enclaves atop Lookout Mountain, and later on Signal Mountain and Walden's Ridge. The original mansions are no longer private residences, transformed into the Bluff View Art District since the Hunter Museum was opened in 1952. The Hunter Museum itself is partly housed in the beautiful classical revival mansion built by Ross Faxon in 1909, and designed by Cincinnati architect Mead and Garfield. The mansion changed hands, eventually purchased by George Thomas Hunter, who made his fortune in Chattanooga's CocaCola bottling business. After his death, the mansion was donated to the Chattanooga Art Association to house the museum. The surrounding mansions became the Bluff View Art District during the 1990s, as part of Chattanooga's general downtown revival. The 1889 Maclellan House (for which Maclellan Island is named), 1908 Thompson House, and the 1927 C.G. Martin House are today the Bluff View Inn. Today, Battery Place is a quiet residential neighborhood that carries on the perks of safety, peace, and beautiful views that originally drew Chattanoogans to build atop the bluffs. The Bluff View Art District stands between Battery Place and downtown, and all are connected by Chattanooga's beloved Riverwalk. 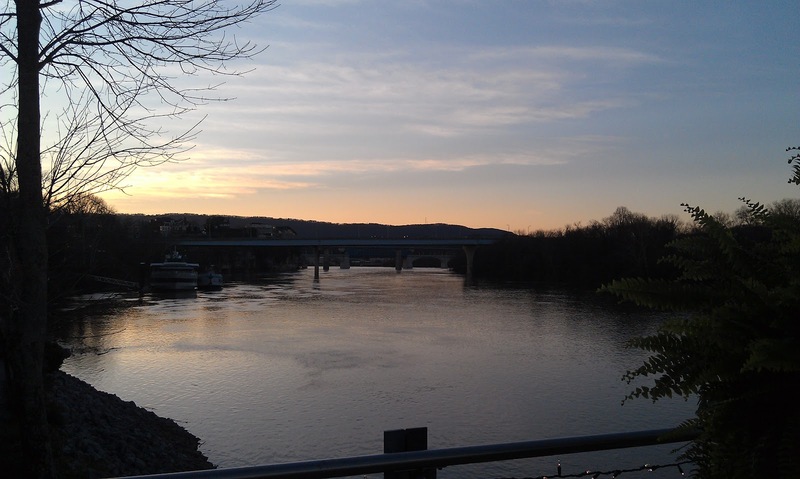 This makes Battery Place uniquely walkable, and well connected to not only the business district, the shops, restaurants, and activities of the downtown Riverfront area, but also to businesses and resources further up the river, like the Manker Patten Tennis Club and the University of Tennessee at Chattanooga. Despite being so well connected, Battery Place is always very quiet and safe. The occasional joggers and cyclists exercising from downtown, and romancing couples fresh from a date in the Bluff View Art District, may stroll down the Riverwalk, but are still somewhat removed from the homes and never mingle with traffic. In addition to the Riverwalk, Battery Place is well-connected to the rest of the city thanks to its proximity to Riverside Drive, which turns into Amnicola Highway. It takes just minutes to reach downtown, the shopping areas of Hixson and Northgate Mall, and it's simple to zip up to Highway 153 to get to Hamilton Place Mall and the shopping of East Brainerd. Much as Chattanooga's earliest residents discovered, Battery Place is enormously convenient for somewhere so beautiful and secluded. It's these same great features that make it one of the more expensive neighborhoods in Chattanooga, even more since the downtown renaissance and the growing trend for urban living. In the 1990s, it was still possible for college students and young professionals to rent apartments in this area and in Bluff View, but those days are long gone. Today Battery Place is primarily single family residences and a smattering of upscale condominiums.